Sweetly innocent and girly describes this pretty dress with a vintage-inspired feel to it. The Pink and Cream Floral Lace Capsleeve Dress is fully lined in a soft pink fabric and has a cream floral lace overlay on top. Flirty capsleeves, a rounded neckline, and princess seams at the bust combine to create a pretty shape. The banded waist gives way to a fit and flare skirt that adds to the prettiness of this flattering dress. The crossover V detail at the back adds unexpected interest and an invisible side zipper makes this dress easy to get into. The Pink and Cream Floral Lace Capsleeve Dress would be perfect to wear to a garden party, backyard party, or to lunch with family or friends. 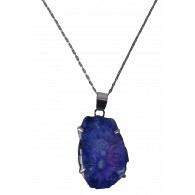 It would look great paired with cream or neutral pumps and a clutch purse. Fully lined. Invisible side zipper. 71% cotton, 29% nylon. Contrast: 100% cotton. Hand wash cold. Do not bleach. Lay flat to dry. Small measurements: Length from top of shoulder to hemline: 36”. Bust: 32-34”. You have added Pink and Cream Floral Lace Capsleeve Dress into Wishlist. You have added Pink and Cream Floral Lace Capsleeve Dress for Stock Notification. You have set Pink and Cream Floral Lace Capsleeve Dress as a loved product. 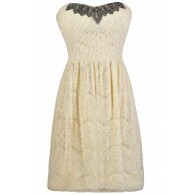 You have removed Pink and Cream Floral Lace Capsleeve Dress as a loved product.